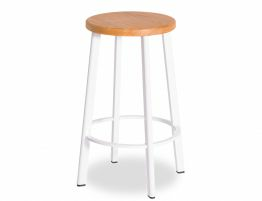 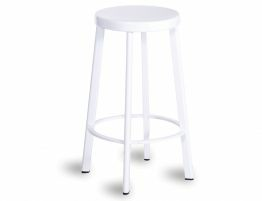 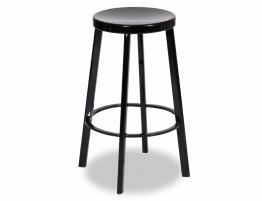 The Criterion Kitchen Counter Stool is a soft circular design stool that changes the way you view your zone. 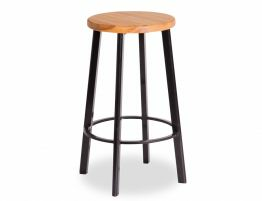 Shapes have an endless variety of characteristics, each allowing you to feel and see something different. 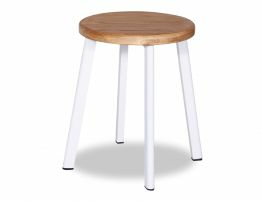 This circular shaped Criterion Kitchen Stool with its curved solid wooden American Ash seat is pleasing and comforting with a more natural feel. 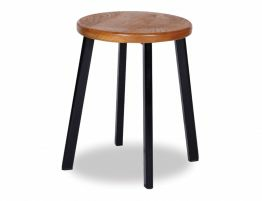 The free form of the circular black frame supports the round carved organic wooden seat softening your interior. 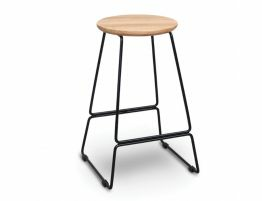 The Criterion Kitchen Stool is of a standard 66 cm and available in black with an upholstered seat, black steel frame with a solid American Ash timber top and white steel frame with a solid American Ash timber top.